City Carpets has been serving the North Bay since 1993, and was chosen by the leading name in carpet – Stainmaster® to be The Exclusive Stainmaster® Flooring Center in the North Bay. Chosen for its outstanding customer service and breadth of products, City Carpets offers something for everyone. With two stores in Marin and Sonoma Counties, City Carpets has been “flooring” thousands of homes and businesses in the Bay Area providing options from carpet to hardwood, area rugs and tile, vinyl, laminates and more. City Carpets offers the largest selection of flooring choices in the area, with excellent product features and benefits. Both stores feature well organized showrooms with top quality products at outstanding values. We are the only authorized store in the North Bay to offer Stainmaster Ultra Life, the highest performing carpet from Stainmaster. We carry all the top brand names like Stainmaster, Amtico, Fabrica, Masland, Wilsonart, Pergo, Armstrong, Mannington, Ralph Lauren and more! City Carpets is locally owned and operated with professional teams of in-house installers and sales associates. We are members of the Better Business Bureau and recipients of the Honor Roll for the last seven consecutive years. We invite you to work with us so we may provide flooring options to compliment your lifestyle and bring you years of comfort, wear and performance. 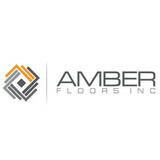 Our clients enjoy a level of customer satisfaction that reflects the quality of our flooring materials and the experience of our entire staff. 1400 sf flooring showroom 18 miles north of San Francisco on Hwy 101 on the way to the Wine Country. 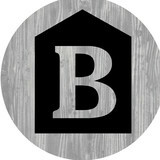 We specialize in pre finished hardwood floor, restoration of existing hardwood floor, carpet and luxury vinyl tile. 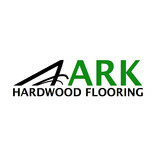 We wholesale flooring and we are a licensed installer if you need the floor installed. We represent mills such as: Mullican, Somerset, Columbia, Mirage, Lauzon, Du Chateau, Millstone, Garrison, Shaw, Tarkett, Karndean, Anderson, Teragren, Catalina Home & Cochran Lumber (reclaimed oak, pine, hemlock,chestnut) in oil and polyurethane finishes. We also consult to the builders and home owners on leveling sub floors and moisture content. What kinds of services do hardwood flooring installation professionals in San Anselmo, CA provide? Find hardwood floor experts in San Anselmo, CA on Houzz. Search the Professionals section for San Anselmo, CA hardwood flooring installers and dealers or browse San Anselmo, CA photos of completed installations and look for the professional’s contact information.